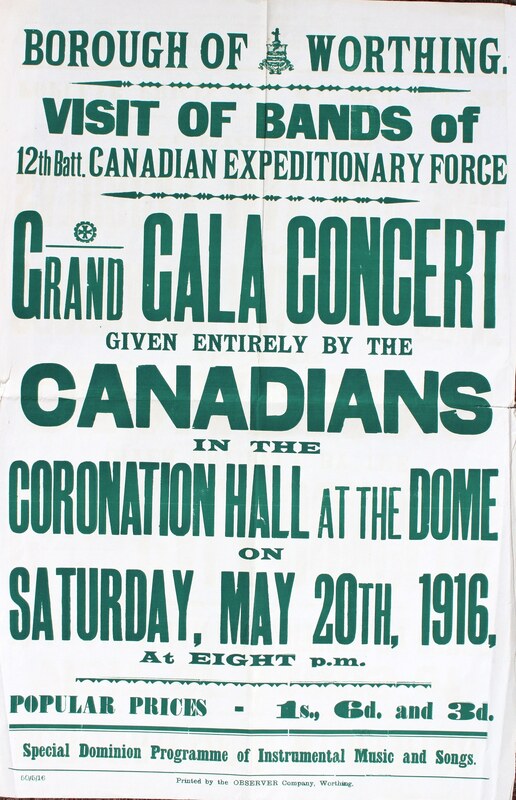 On This Day 1917: British troops entertain the Canadians. 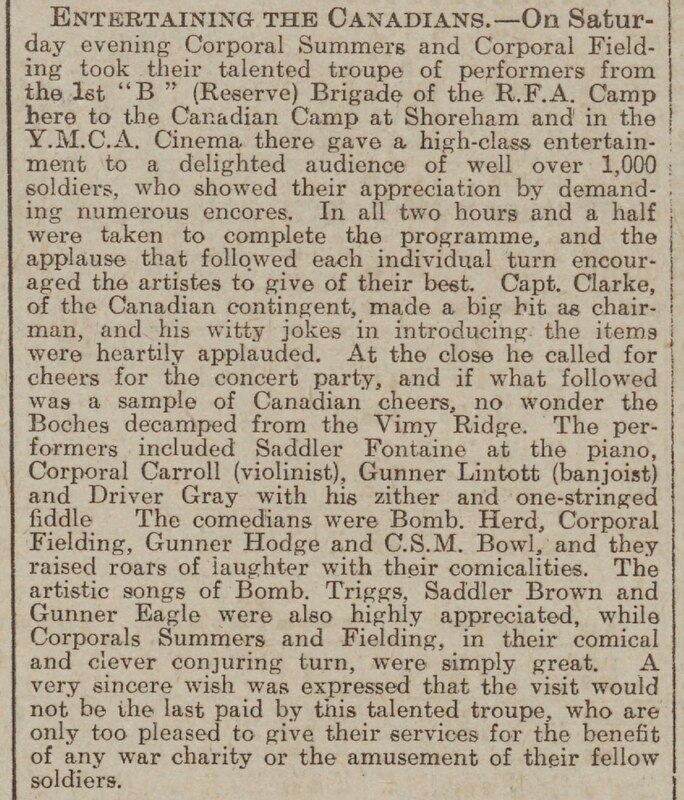 The talented troupe from the 1st “B” Reserve Brigade of the RFA Camp visited the Canadian Camp at Shoreham. Well over 1000 soldiers were delighted by the high-class entertainments held in the YMCA Cinema Hut with many calls for encores. Over two and a half hours of entertaining acts from the party included music by banjoist Gunner Lintott, comedy from Bomb. Herd and conjuring by Corporal Summers. Canadian Capt. Clarke introduced each performance with witty jokes that were heartily applauded. The Concert Party were called upon to return soon and offered their service to any war charity or fellow soldiers who were interested. The Canadian troops from Shoreham Camp also entertained the British as shown in this 1916 poster. Previous PostExhibition moves to Worthing CollegeNext PostOn This Day 1915: Soldiers thank Worthing for winter billets.